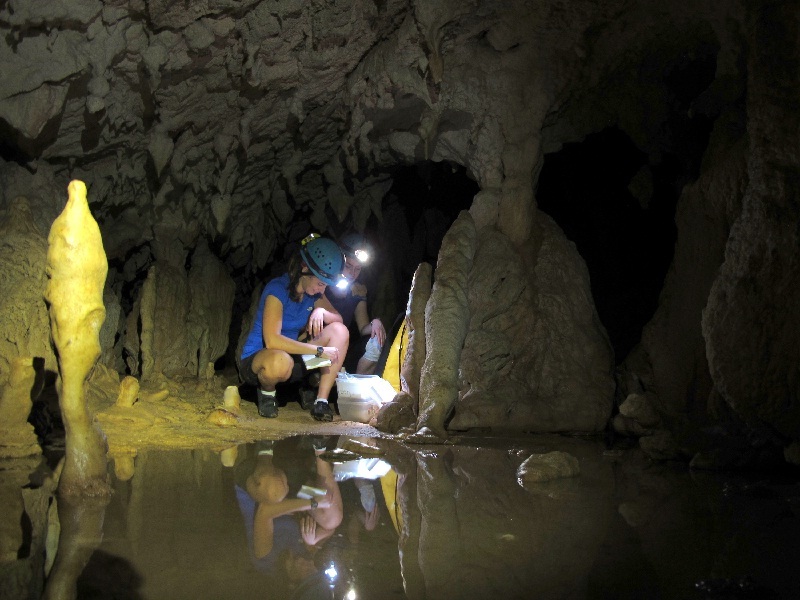 Researchers using stalagmites to study climate change in Borneo were surprised by some unexpected results. The team from Georgia Institute of Technology, working with folks at Borneo’s Gunung Mulu National Park, the Universiti Malaysia Sarawak and the California Institute of Technology, found that the 100,000-year records they recovered were missing evidence of Dansgaard-Oeschger excursions. Along with the Heinrich events, of which there was evidence in the Borneo stalagmites, Dansgaard-Oeschger excursions were one of two major types of abrupt climate change events that were prominently featured in a previously published stalagmite climate record from nearby China. Collected during a 2012 field trip to the three caves in Gunung Mulu and Gunung Buda National Parks in northern Borneo, the four 0.5 meter (1.5 foot) long stalagmites were brought back to Georgia Tech where they were analysed to extract the important climate data held within. By sawing the stalagmites in half, and using a tiny drill bit to extract calcium carbonate along the center at minute increments, the researchers collected more than 1,700 samples for oxygen isotope analysis. Depending on the rate of growth, each tiny sample represented between 60 and 200 years of data. When merged, the data from the stalagmites have been able to give scientists a record of precipitation trends in the western Pacific over the past 100,000 years.